Designs submitted to the Showit Design Market cannot have a separate purchase option included in the design preview that would direct them to purchase on a different site. You can however add a canvas with a purchase option that would be hidden for viewers of the Showit Vanity URL while it displays under a custom +Site. Follow the steps below for the use of the custom code. You will need to publish to a custom +Site URL in order for the purchase bar to appear. Contact support if you don't have +Site (subdomain) options setup yet. You will need a custom domain connected to your account for this to work. Use the +Site URL for previewing on your own store. 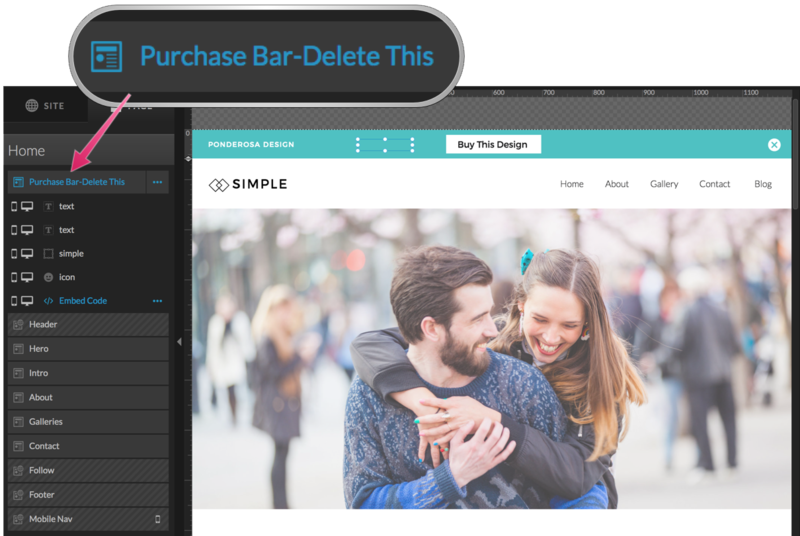 Designs with a purchase bar canvas that are submitted to the Showit Design Market will need to use the Showit Vanity URL link when providing a preview link. You can find and edit the vanity URL under Site Settings. Add a canvas with suggested name "Purchase Bar- Delete This" so that it's clear to the end user to delete before publishing the design. 2. 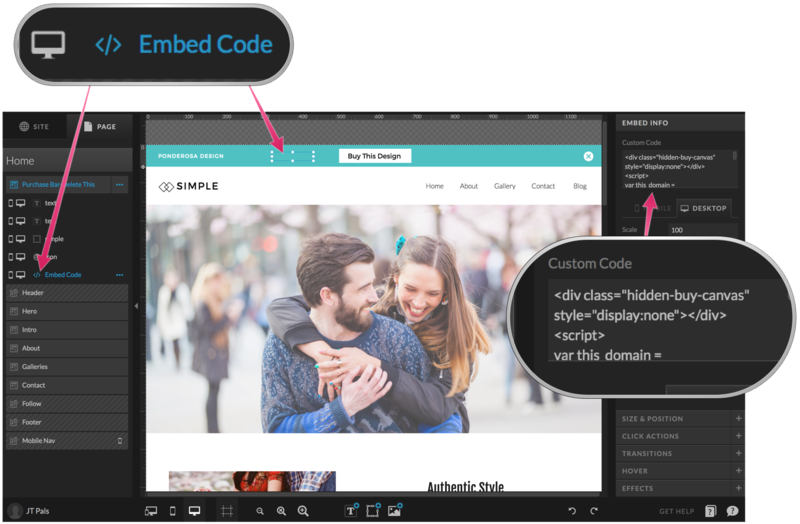 Add Embed Code widget to the canvas you want to hide. 3. Add the following code into the custom code settings panel. 4. Publish and confirm that the canvas hides when the design is viewed with the Showit Vanity URL found under Site Settings.